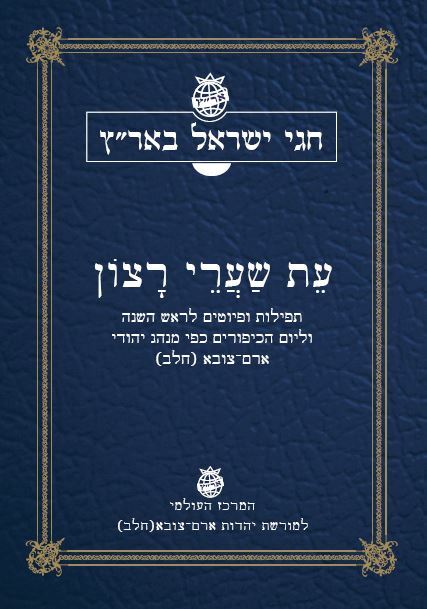 The World Center for Aleppo (Halab) Jews Traditional Culture is pleased to announce the publication of the book “Et Sha’are Ratzon”, in its third edition, expanded and updated. This book will be distributed in the communities of Halabim in the next festivities. In the following link you can transfer the donation to the center. The link is secure and can be paid through a subscription to Paypal or credit card.